By now we know it’s important to have a social media strategy for an event business. Not only is social media a terrific marketing tool for promotion, it also allows new clients and vendors to easily find you. Here’s the thing though! It’s simply not enough to just have social media accounts created. It’s also not enough to randomly share images and articles here and there. Your social media strategy MUST also include the monitoring of your accounts and its engagement. 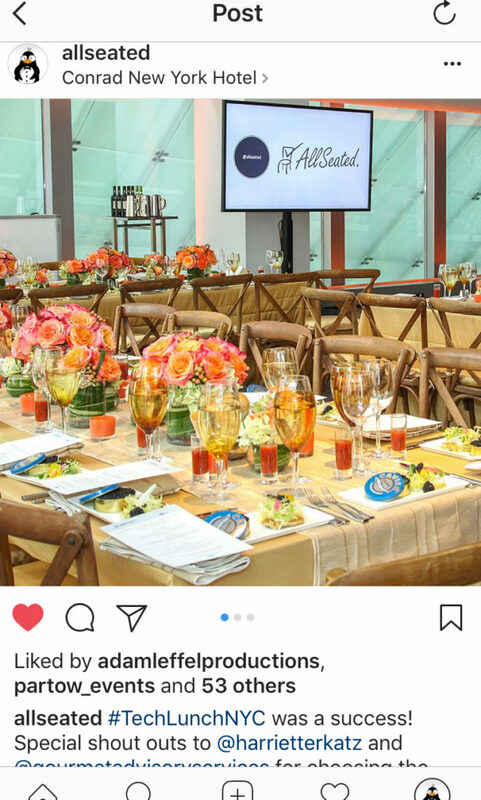 Giving your social media accounts a little more attention on a daily basis will help your event business tremendously once you know exactly what to look for each day. If you are using social media platforms such as Instagram, Facebook, and Twitter, you should be receiving notifications. If you aren’t receiving notifications, go into each of your social media account’s settings and turn those notifications ON. Notifications will alert you to a number of important things such as when you get a new follower, pin, like and share. It’s critical to pay attention to all notifications for many reasons. Likes: Some posts may receive more likes than others. Give it some thought – why did one post do better than the others? What did people like more about it? Was it simply the time of day that you shared it or was it about the content? The answers to these questions will help you to better curate content in the future. Comments: You want to be reading all comments that are received on your posts. Not only should you be aware of what people are saying (and asking), you want to engage and respond. Responding to your comments in a timely fashion creates a reputation of being personable, professional and engaged with your community. Followers: Pay attention to who follows you as you may want to follow them back. You want to create a social media feed for yourself involving relevant industry content while also providing you with a sense of community amongst your fellow vendors. Shares: It’s important to know when another account shares your content. You want to be able to thank them for sharing and then pay attention to their content in the future as you may wish to reciprocate the sharing gesture. Your followers and community like to see you sharing other relevant content, not just promoting your own. Often neglected are direct messages which are sent to you privately within your social media accounts. Maybe you were tagged in an Instagram story or someone has sent you a private message on Instagram, Facebook or Twitter. You would be surprised by how many people are reaching out with service questions, product inquires and possible order placement via direct message! Check for these messages a few times a day to ensure you are seeing all possible communication. You don’t want to miss a business opportunity! Your social media strategy should involve more than just sharing your own content. As stated above, it’s crucial to follow other event professionals and engage in their content too. Like, comment, and share their content while remembering to tag the vendors who worked with you in your posts as well. These simple social media strategy steps are easy to implement while helping to build your community along with that high level of relationship marketing we all strive to achieve.